Have we become so concerned with “seeker sensitive”, “age appropriate”, “make sure the children are having fun,” approaches to ministry that our children are not growing in a steadfast faith in God? As Wesleyans, we are often reminded to preach holiness. However, in practice, holiness topics for children may not be taught, or at the most, taught with watered down theology. How can the church preach, teach and implement holiness instruction to the children of all ages? If the church is assisting the parents in their God given responsibility to “Train up a child in the way he should go and when he is old he will not turn from it” Proverbs 22:6(NIV1984), it is vital to have a balance in children’s ministry of fun, salvation and instruction in holiness. This is a picture of children learning to live a holy live in an unholy world, children proclaiming God as #1 in their lives. Most Sunday School and Vacation Bible School leader’s guides include a section on how to lead a child to Christ. Each child who makes the decision to “Ask Jesus into his/her heart” is counted and used to determine the “success” of the program. This is an important decision we want all children to make, but what is the follow-up to the decision to accept Jesus? The evaluation question, “How many ‘got saved at the evangelistic event,’” needs to be followed up with how salvation changed a child’s life and does the child know what it really means in their life. We need to be wary of children’s ministry programs which become only salvation focused and not continue to guide the child to sanctification. If the church is to continue with a strong focus on holiness in years to come, children need to be taught what it means to be sanctified and how to live a holy life. Holiness can, and should be, as much a part of the lessons for children’s church as they are for the adult worship. When was the last time children in your church were encouraged to be fully committed, sanctified, filled with the courage to face life challenges and freely share their faith? He reminds us that every day is a day where you set yourself apart for God, to focus on Him! Can we imagine children – daily excited about knowing, loving and serving God and not just coming to church for the fun and games of church, but because they love the Lord, want to know him better, and desire to serve? When we keep the spiritual bar low, children will reach the goal. Raise the bar and they will stretch to reach and surpass our/their expectations. Children can lead a life of holiness. It is not just for the adults or youth of the church, it is for all children of God to live holiness. Could it be that children can, and should be taught to, live a holy life. That they can become like children we read about from the Voice of the Martyrs, Kids of Courage, www.kidsofcourage.com ? Envision children from your church being told by police to write “I do not believe in Jesus” and boldly writing “I believe in Jesus today, I will believe in Jesus tomorrow, I will believe in Jesus forever!”(Kids of Courage, VBS). Our children growing up loving the Lord with all they are, can have a steadfast faith that is strong and true – guided by the Holy Spirit. Causes me to wonder if the holiness we cherish and desire from our Lord is a secret we have kept for only the youth and adults of our churches. Our children deserve to know the secret to living a life of power through Christ “reigning and saving from sin.” We should, “Show the mystery that has been kept hidden for ages and generations, but is now disclosed to the Lord’s people.To them God has chosen to make knownamong the Gentiles the glorious richesof this mystery, which is Christ in you,the hope of glory.” Colossians 1:26-27 (NIV), to the children of this generation. Being salt and light in their day to day world, making a difference in their schools and neighborhoods. Everett Leaningham encourages us in his book, You’re Losing Us to “make a difference in the lives of those around us, especially when it comes to our children and youth. Successfully passing on our faith to the next generation is the crucial mission for every Christian.” We have the God given responsibility to encourage, equip, resource, inspire, educate and motivate parents and children’s ministry leaders in the faith formation of the children. Churches will be revitalized when the faith formation of the young is a priority. “Spiritual formation during childhood is too important to simply perpetuate programs without having a way to judge their effectiveness.”(Leaningham) Salvation and sanctification – living a life of holiness as a child – is imperative and necessary in order to have a church of adults who are dedicated to holiness in the future. How can this be accomplished? 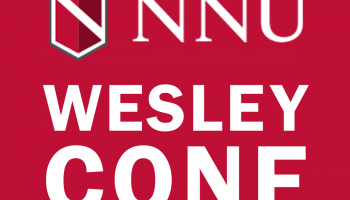 If we are not using Wesleyan based curriculum, we may be completely missing the mark. Teachingand modeling holiness begins with an intentional plan to frequently include application for successful Christian living in the lessons we present to children. This should include stories of your life and how God has helped you to share and live your faith. Share the good and the bad: times when you listened and obeyed, and those times when you failed. Share your story of how you came to accept Jesus as your Savior and when you were sanctified. If you were not a Christian as a child and did not come to know what it meant to know Him as a child, be honest, just share your story. Invite others to tell their story of faith. Children connect when you are personal and relevant accompanying the stories of faith from the Bible. Often stories are shared about a person who attended church as a child, made a commitment to God, was baptized, joined the church – then quit. Perhaps the child was not plugged into the power of the Holy Spirit but only had “asked Jesus into his heart.” I recently presented a children’s sermon, Don’t Quit, Plug Into the Power. With the use of a small lamp, which was not plugged into the outlet, we discovered the source of power that brought light. We discussed how sometimes children quit a project or sport because it becomes “too hard or too easy”- then discovered that sometimes if we keep on going, have a change of attitude by plugging in to the power, we can keep on and not quit! Scripture and lessons from Bible heroes supported the lesson. This was a perfect moment to teach holiness using life situations and object lessons. Watch for teachable moments in all children’s sermons. When we are praying and living holiness – set apart for his work – we can capture opportunities to lead a child to a life of holy living. An entire lesson can be prepared, or interject a holiness moment, into a lesson. Include references from Old and New Testaments leaders of faith. Scriptures used in holiness sermons for adults can, and should be, used for children. The apostle Paul was expressing in 2 Corinthians 4:1- 2 that he is not going to give up. He is dedicated to staying and pursuing the call that God had given him. Yes, it was not easy. It was very tempting to just throw in the towel. This passage can be shared with children using drama, puppet skits and the use of objects. A lively discussion will ensue – since many of them have experienced or witnessed others quitting and walking away from adversity. This can conclude with a time of commitment for a life in Jesus, holiness. In Revelation 3:20 we read, “Here I am! I stand at the door and knock. If anyone hears my voice and opens the door,I will come inand eat with that person, and they with me.” (NIV) Salvation and sanctification can both be taught from this verse. Imagine with children, opening the door to Jesus and staying in the living room – salvation. Then imagine: inviting Him to the table, taking time to eat and share together, getting to know him better and giving him full access to all the rooms – sanctification. By using sight, sound and touch, children can connect to this scripture and gain an understanding of holiness, making time for the Lord, setting ourselves apart for Him, and learning to be holy as He is holy. The hearts of the children were touched. What a joy to see children worship and desire to sing deeply spiritual songs. My heart was rejoicing as I realized that they are catching the heart of worship: holiness. Choose songs that will continue to minister and to teach their hearts. Sing them with passion and with true hearts for worship. Children will follow and experience the Holy Spirit and know that God was here! My prayer is for each child to not just, “Ask Jesus Into My Heart,” but to know God, love God, and serve God more and more each day. My responsibility is to weekly provide theologically correct holiness teaching in words children can understand through lessons, sermons, and every activity planned during the total time the children are at church I am responsible to provide lessons that encourage children into a deeper and richer relationship with our Lord and Savior Jesus Christ. May we lead children to more than “Jesus in My Heart.” May we lead them to take time to listen, communicate and want to know Him, love Him, and serve Him more and more each day as they fully commit their lives to the Lord. Children – called to holiness – our church of today.